Update: All the images posted on Google+ have now been removed. We've still got the veggie image and EXIF info embedded below. If you believe the rumor mill, the Nexus 5 is going to be announced in mere days, and we know that many Googlers are carrying the devices around. It was only a matter of time before some of them forgot to scrub their EXIF data. Several images taken with the Nexus 5 have been spotted, but some have already been pulled. 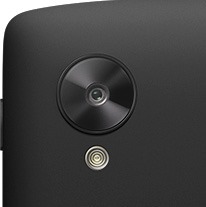 The pictures have a resolution of 3264x2448, which works out to 8MP just like the leaks said. 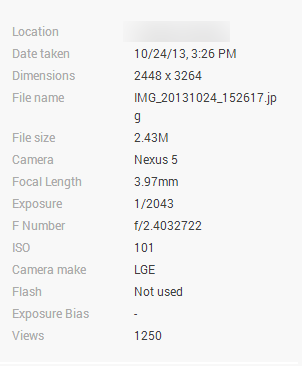 The image info clearly indicates the camera was the "LGE Nexus 5." The image above was taken with a 1/121 second exposure and and ISO of 155. You can check out the full EXIF data from that shot and the deleted set below. 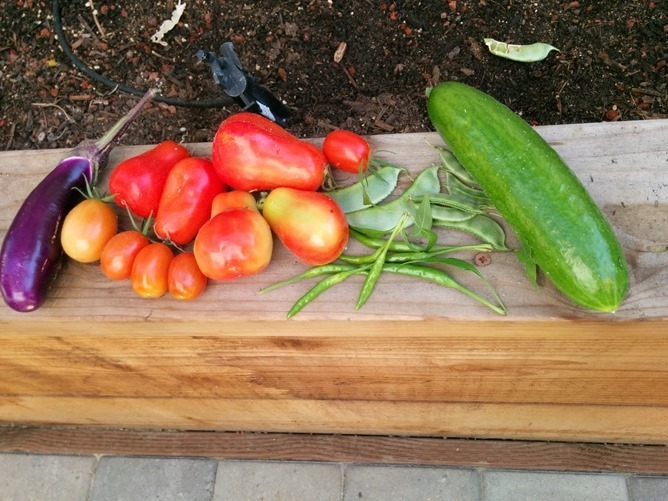 As for the image quality, the veggie pic looks fairly crisp and the colors are good. There is still some noise even at the low ISO with good lighting, though. The other deleted images (which we decided not to post because they're family photos) showed a bit more dynamic range than the Nexus 4 had. 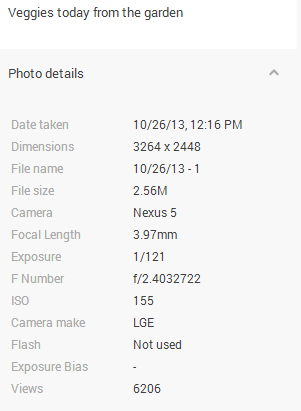 Overall, the Nexus 5 looks like it could take moderately better pictures than the N4. We'll know more once it's finally announced.